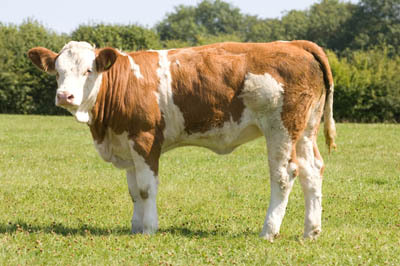 Grace was bought privately in 2002 as a yearling heifer and was then shown successfully as a two year old heifer the following year. Sadly no longer with us, Grace forms the mainstay of the Boars Head and has bred well. 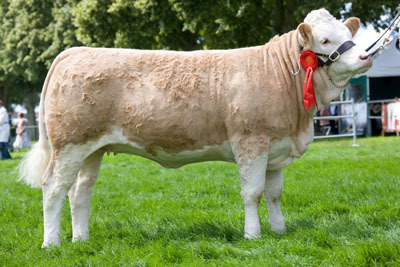 Success stories include Boars Head Grace 2nd who took the reserve female championship at the South of England Show in 2008 and has since bred well to Seaview Prince Charming; Boars Head Grace 3rd, a powerful heifer that was shown in 2009 before being sold and Boars Head Grace 4th who was sold to a pedigree herd in 2010 and then Boars Head Grace 5th, a Prince Charming daughter who was reserve female champion at Heathfield Show in May 2011. 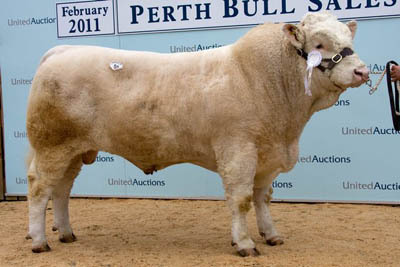 Also coming from this family are Boars Head Ambassador, who as sold in Stirling in February 2011 for 3000gns and Boars Head Argonaut, who was sold in Stirling October 2010 for 7200gns, both of which were by Seaview Prince Charming. 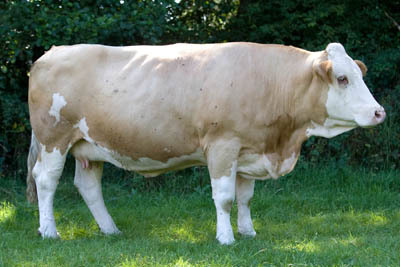 Karina was bought privately from Ann and Tony Jukes and she has bred exceptionally well for us, producing six prize winning bulls, including Boars Head Volcano, an Omorga Prince son, who won countless championships in 2008. Karina currently has a strong heifer calf at foot by Seaview Prince Charming. A half sister to Karina, Swallowhill Miranda who is by Balmano Hitman, was also purchased from Michael Hind. 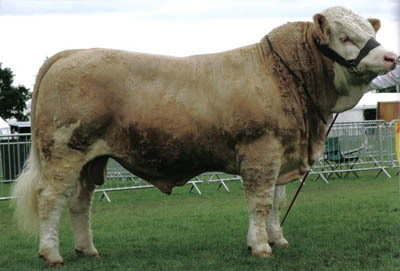 Miranda has bred consistently well to Seaview Prince Charming, producing Boars Head Miranda 2nd who was reserve female champion in Stirling in October 2011 and sold for 2000gns to James Hunter. In 2013, Gerald Smith purchased Boars Head Karina 2nd for an undisclosed private price. Karina, is by Prince Charming and out of Swallowhill Karina. Nelly 20th has bred well for the herd producing Boars Head Nelly, a Seaview Prince Charming daughter and class winner at both the Kent County Show and Bucks County Show. 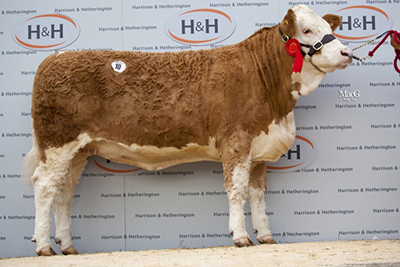 He has also bred a strong light coloured heifer, Boars Head Nelly 3rd, who is a Seaview Prince Charming daughter and is showing great promise. 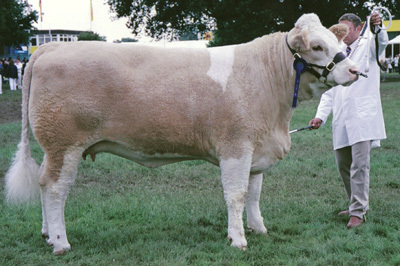 Meanwhile, Nelly 21st, has equally bred well with one daughter by Seaview Prince Charming , Boars Head Nelly 2nd, standing second in her class at the South East Calf Show held in conjunction with East of England Smithfield Festival in 2011. 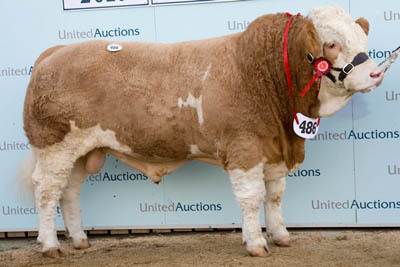 Meiersli 13th has bred well for us producing Boars Head Tornado, a Starline Klassic son, who sold for good money to a commercial herd, as well as Boars Head Meierisli 5th, who won the inaugural Leading Ladies championship in Carlisle in August 2012 and went on to sell for 5600gns. 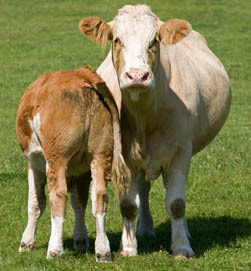 Meierisli 11th was purchased in 2009 and has produced us a great heifer by Seaview Prince Charming. Trudy was purchased privately from Ann and Tony Jukes in March 2012 having originally been purchased by them at the Hockenhull dispersal for 11,000gns. 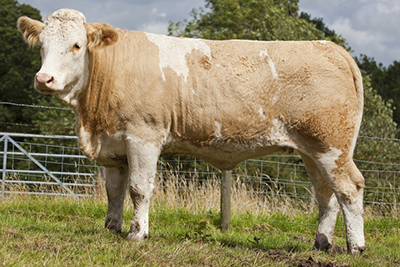 She was bought as an outcross bloodline for the Boars Head herd and has produced an impressive bull calf by the 8000gns Sacombe Balmoral.